Armadillos are supremely confidence in their leathery suit of armor. 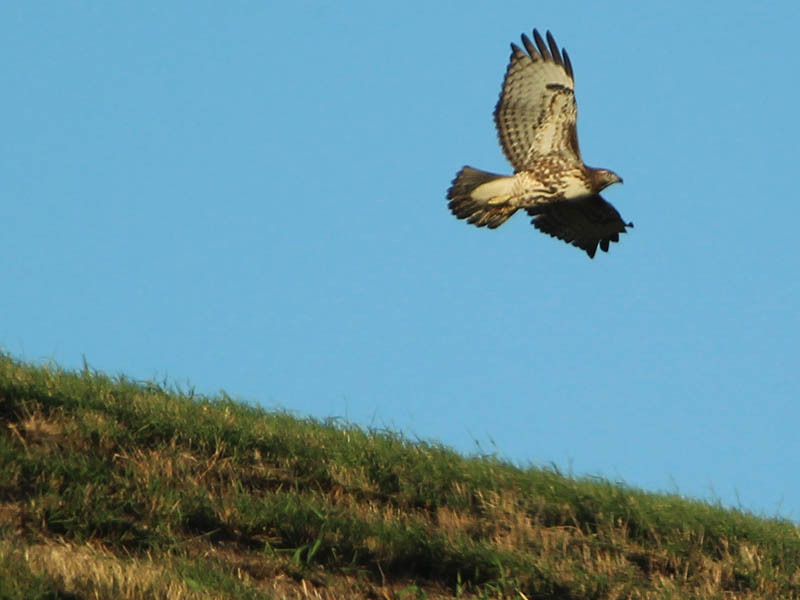 They go about their daily business seemingly without concerns about danger. But this is a passive form of confidence. Armadillos have poor eyesight and hearing. As a result they are often unaware of impending threats. Evolution equipped these little animals with a very reliable defense, and in exchange they gave up a certain level of situational awareness. That in turn can give the Armadillo the appearance of nonchalance. As good as the Armadillo’s suit of armor is, it is not foolproof. A determined predator can take one down with a targeted strike. That may be what happened with this find I made near the Elm Fork of the Trinity River. 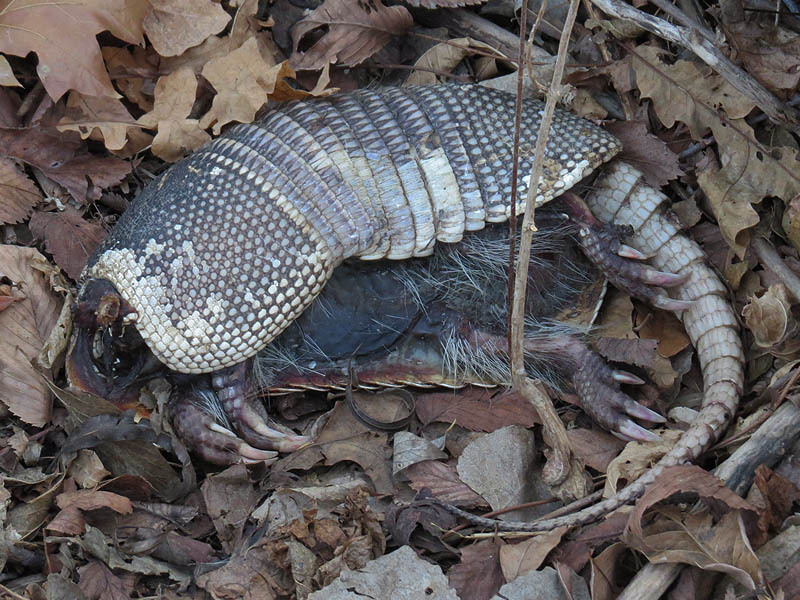 Its easy to see how this Armadillo was dispatched, but what is harder to explain is why it was not eaten after being killed. Great-tailed Grackle – What a Lady! Next Next post: Bald Eagle – Nest: Week Eight Eaglets?